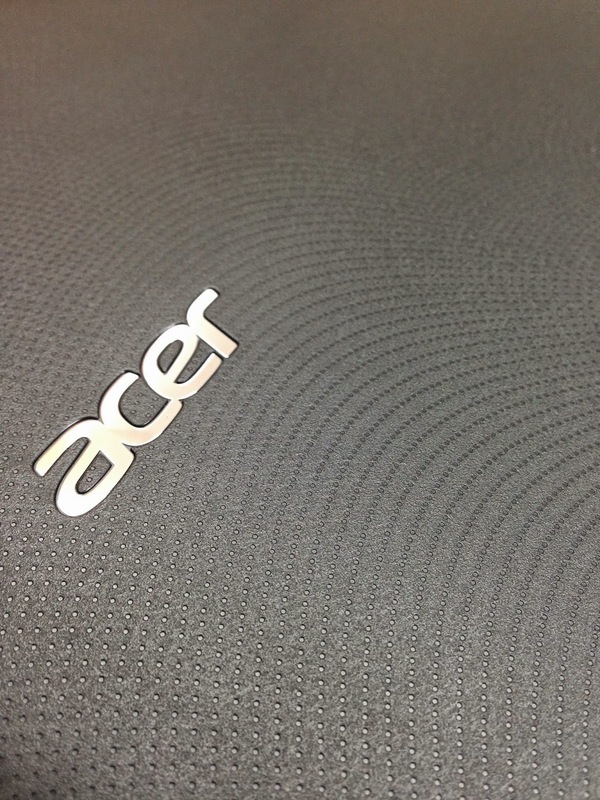 TIGERLIM.COM: Portable and Affordable, the perfect ACER notebook for the NEW YEAR ! Portable and Affordable, the perfect ACER notebook for the NEW YEAR ! Acer, with the support of Concepts Computer, is introducing the new ACER Aspire ES1-311-C9T9 notebook for users seeking an affordable and highly mobile notebook. The ACER Aspire ES1-311-C9T9 is built for everyday usage, giving importance to mobility and practicality by having a lightweight body and a 13-inch screen, and utilizing low-voltage RAM to ensure the 3 cell Li-Ion battery can last. The ACER Aspire ES1-311-C9T9 notebook also sport a stylish and sophisticated design characterized by sharp angles and slim profiles which does not make it look out-of-place with the other everyday, essential devices of young, Bruneian professionals. Ultimate Portability. Thin and with an easy grip, the ACER Aspire ES1-311-C9T9 is an ideal partner to go anywhere and work anytime. With over 6 hours of battery-life you can stay connected all day, and with AcerCloud you stay in sync with everything you need, automatically. The ACER Aspire ES1-311-C9T9 allows you to do a touch more and travel a touch further. Optimized Productivity. The ACER Aspire ES1-311-C9T9 is a notebook that can keep up with you. It’s 10-point multi-touch screen helps you navigate your screen a touch more intuitively. And the Precision Touchpad and chiclet keyboard are designed specifically to improve accuracy and speed when used for time-critical work. Sensational Fun. Whether you’re playing a game, recording a song or streaming a movie, the high-definition LED display and graphics capabilities on the ACER Aspire ES1-311-C9T9 will definitely enhance every multimedia experience. SKYPE Certification. 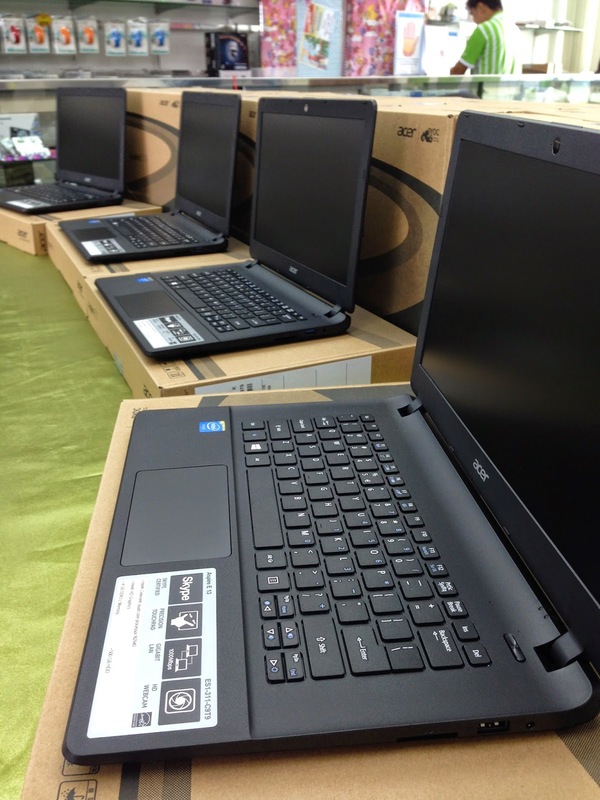 The ACER Aspire ES1-311-C9T9 meets the high audio and visual standards required for Skype Certification. Optimized hardware ensures that every word will be heard clearly with no gap or lag in speech, minimal background noise, and zero echo. The ACER Aspire ES1-311-C9T9 will have be powered-by an Intel Quad-Core Celeron processor, with 500GB of HD storage space, 4GB of Low Voltage RAM, and other necessities like webcam, bluetooth and wireless connectivity, but NO OPTICAL DRIVE. It is available at Concepts Computer for $478. For more information, please call 2233551, 2233552 or 2233553, or visit your nearest Concepts Computer retail outlet.